CEIPAL TalentHire is a fully scalable, fully integrated Applicant Tracking System (ATS) that helps to quickly identify vacancies, promptly source & screen applicants, and then effortlessly place & digitally onboard them. It's designed to deliver better value, superior candidates, and more hires. "One of the best Applicant tracking System for Recruiting." Tracking of Candidates and maintain vendor relation is one of the best feature of Ceipal. Tracking Company status and also measuring performance of employee is done by Ceipal. Free uploading of job requirements to another portals via Ceipal is helpful. Ceipal can also be used to track personal performance . Vendor database can be maintained easily which is helpful for the company. It provides a lot of convenience through the integrations and mobile app. You can link your company’s career’s page and directly publish postings. Low & Flexible pricing backed by support from real people makes it attractive. Easy to configure, easy to operate and user-friendly UI. Reports generation feature is highly useful for the management to assess performance of business. I have been a user of CEIPAL WorkForce for last two years. It has been evolving and adding more features to the tool from time to time. Customer support team is good responds within time. great job portal integration feature and it's resume migration feature is great. It take multiple login attempts to get logged in Ceipal. To load the home page it takes time. Ceipal can be effectively used by recruitng firms to create database of employees, Candidates and vendors and also to track company recoreds. Overall Ceipal is the best and simple software which can be used by recruiting firms and also customer care is helpful. "Mind blowing & Dynamic Ceipal Applicant tracking system"
I love this software as all my resumes are easily parsed through Ceipal. I can easily submit my applicants through this portal . The database of ceipal is dynamic. I am using this software near about 3 years. All my data is in one place. Outlook can also be Integrated so that I can easily parse all my resumes through this portal. I can also easily send bulk emails to my vendors. Best Candidates data base,candidates can be reached out easily, data base is vast ,easy to use,user friendly,the search string are easy, Excellent design of tool, Excellent growth with this tool. Best and quickest way to find candidates. This tool has maximum data storage facility. The best thing is uploading the profile of candidates in seconds. There is nothing to dislike this tool.This tool is best to use for candidate search. The only dislike of this tool is that the cost is not affordable by everyone. Best and excellent tool for recruiting and growth purpose. It helps with all the technical issues and functional search of candidates. best tool for recruiting firms to use. Best And quickest way of candidates hunt. ceipal is the only one ATS(Applicant tracking system) i have ever used till now. It has been more that 2 years we are using ceipal. The best what i like about ceipal is that it keeps a track record or detailed information about each and every candidate i submit. It will allow us to update each and every kind of possible status for the candidates. It will directly send me an email as soon as i update a status or submit a candidate on ceipal, this emails also really helps me out for keeping a track record. Ceipal has a one centralized database which allow us to get very talented and very niche skilled candidates. The best feature i like now a days is that it directly migrates the resumes from monster to its own database. It's a nice application which helps to consolidate all the info and enable us to pull reports needed. The Customer Support is great and they respond very quickly. I think it is developed understanding the needs of HR Department. The parsing is the only one feature that does not works properly for me it takes lot of time and sometimes the loading screen will never proccess. For parsing it only allows 20 resumes at a time. ceipal allows me not to maintain a database and update it manually everyday but directly just click on ceipal features and we have our reports and every update regarding our candidates. "Being Recruiter Best ATS to be used"
I am using Ceipal for last 1 year and I found it amazing. I mean we can search candidates over the different job boards which are embedded on a single platform. You can use various features of Ceipal like mass email and internal search. Job postings are also available at the same time. There are some bug issues which I hope will be soon treated. Also when I search for specific years of experience it does not take that and throw some irrelevant results. Otherwise, if you have fast connectivity of internet Ciepal will not bother you. But some times it takes to route resume when a connection is little slow, or not up to the limit. Rest is good. I would like to recommend this software to everyone who is into the Recruitment or handling Talent Acquisitions. This software is very much helpful and time & trustworthy. I would love if you guys check this out. As a recruiter mostly I search for the candidates from different job boards, also you can post a job there. Candidates also reply to the mass email which is the best option to send the bulk email. You can send the bulk emails from different job portals if you have enough Ciepal credits. I am enjoying working on Ceipal. I can post my job submit my candidates to it and also can change their status. "Ceipal has met all of our payroll needs in a professional, consistent and impressive manner." We have been with the company for almost 7 years. Above all the customer support you receive is fantastic. During our tenure with the company we have had a few different reps due to promotions, but each one has done a phenomenal job. They always return phone calls and emails in a very timely manner, they troubleshoot issues immediately and have even helped process payroll for us when our payroll manager was out with the flu. The cost of this product is much better than most. It is easy to learn and navigate through. The support team is friendly and quick to respond. "CEIPAL TalentHire : One of the Best User Friendly TalentHire Software "
The best part in this product is mass mail and building the data base. CEIPAL have such great UI features, anyone can easily understand every detailing of Ceipal. It provides easy storage of large amount of resumes in one place. Most Important thing is Boolean Search used for recruitment is very helpful. We have been using CEIPAL TalentHire for over 2 years now and the ease of process is excellent both from a Recruiter and an Administration standpoint. It's a highly recommended TalentHire Product. Sometimes resume loading was little bit slow and need improvement in Dashboard , remaining this product was good. One of the best user friendly HR Software. One of the best TalentHire Hr Product . Its a Highly Recommend product . This tool is the place where we can able to same lot of internal data base they have a beautiful support and they reach to the client expectations, best tool to mass mail. Improved time management, productivity and ease of process. "I really Loves and Enjoying my work with Ceipal TalentHire"
My work is simplified and faster than as my old searching websites and here i integrated as the one platform and works more flexible and faster. Application tracking is also awesome. flexible for internal database management service. thanks ceipal for providing this product for ATS. for previous i use different job boards but now its unified. one month back i just found a dice is not working but now its working good. Thanks for your speed resolving team. social sourcing is not worked properly and also bulk emailing is also not upto the mark. some times it shows the error. And also session terminated quickly. but now it almost integrated with all job portals. except techfetch is not working properly. Please update integrated search with new columns like no of years experience, work authersation andwork permits and multiple locations in integrated search it makes me much easier. better to develop AI job searching like in intllisearch in dice. Yes, I recommended this product any staffing agency because it is most useful in this recruiting field. When comes to this it makes work easier than before. Now at present we uses this product for so many reasons and best to know the consultant profiles and activity in one stage. It creates good revenue because we internal db service for profiles storing in our local. Next we fetch more resumes with limited or less time and get quick response. "Ceipal TalentHire is awesome software program that automates the large volume recruitment tracking." Ceipal TalentHire gives us a huge benefit for recruiting in terms of streamlining the interviewing process. It alleviates a lot of backlog in hiring. When you are hiring for hundreds of positions at a time, the manpower and budget all are available to process tens of thousands of applications and resumes while using this Application Tracking System. Ceipal TalentHire collects the resumes and turn them into a healthy repository in a manageable database where HR, Sales and other departments are able to handle and analyze the data based on keyword searches to select for specific job advertisements. The Views have a limit of 100 resumes on one page. If it can be extended to 100-500, it will be great to send bulk emails. Also, it allows only 999 mails to be sent at once using the mail merge. It could be helpful if it were extended. This is the best ATS product in the market. I recommend every recruiting firm to use this product. Ceipal TalentHire gives us a huge benefit for businesses in terms of streamlining the interviewing process. It alleviates a lot of backlog in hiring. When you are hiring for hundreds of positions at a time, the manpower and budget all are available to process tens of thousands of applications and resumes while using this Application Tracking System. Ceipal TalentHire collects the resumes and turn them into a healthy repository in a manageable database where HR, Sales and other departments are able to handle and analyze the data based on keyword searches to select for specific job advertisements. I am using ceipal from more than 2 years it's been a great help and a great database to keep a track record of all the candidates we are submitting. It helps us to submit candidates and update their status in one click. i can easily get the reports of all my work whenever required or asked. There are many job portals where we search for candidates but ceipal is the easiest way to find upcoming talent. Sometimes the strings that we enter to it does not gives sa proper result as expected. The UI (user interface) or the look of the ceipal can be improved and can be made more attractive. Ceipal provides a centralized database which allows us to use like a job board and search for great talent. We can easily post jobs on other portals which makes easier to get a genuine candidate. The best part is the consolidated result part with a single string & the integrated search is also a part of the above mentioned point. If i am getting results on a single go without wasting much of your time then it definitely gives you the opportunity to do best of business and helps you in giving more productive results. Time management in this sector is one of the major components which a leading business organization rely upon, you can't let go the fact of quick responses and turn around time in today's world of recruiting. You have to be capable enough with your skills and when you have a portal like Ceipal with you it definitely puts you a step ahead from anyone else in the market. Ease of access and use, a brilliant portal to bring all details on the same page. Integrated search is one of its best features. The profile migration is an excellent thing, it definitely saves the view count and time which definitely helps in improving business. Easy to upload resumes, either single or bulk resumes. It provides large amount of resumes in one place, Boolean Search is very used for recruitment. I like Its features to access and use internal resumes database. Jobs can be easily posted from Ceipal to multiple jobs boards. I liked Ceipal customization options and customer support with 24/7 customer support. We always receive an immediate response on any issue. Candidates can be tracked in Master job posting as Submitted candidate or as a pipeline candidate. A complete picture of the staffing business can just be viewed on the dashboard. I do Job Posting through it. "Complete solution of full life-cycle recruitment process as from Sourcing to On Boarding(E-boarding)"
Intigration with other Job boards is very good, This allows us to do our work in Parallel way (Multi-Tasking). I mostly like its features to access and use internal database resume. Best and affordable Cloud HR application for small businesses. Complete solution of full life-cycle recruitment process as from Sourcing to E-boarding. Cost -effective as it plays a good role were you are working with Non- IT client. Integrated search option is one of the winning key option as compare to other Job boards. CEIPAL TalentHire is very useful ATS, it really helps and simplify the process of recruitment. It really helps to organize your work from Sourcing the right candidate till on-boarding. It is very easy to use and helpful. Through Ceipal we post jobs do mass email, search resumes, receive suitable applicants and submit. It also helps to keep track of your candidate. We can schedule interview and update status. We can do on boarding. through it. Also it is very useful to generate different different reports to analyse our work. Ceipal team is very helpful and quick in response, we have arranged multiple to clear our doubts and they are always ready to help. They updating their system day by day and adding very useful features. I feel the user interface should be more interactive. Its a very useful software, i highly recommend. Its really helpful to organize work in proper way. "Perfect Tool For Talent Hunters"
Sourcing talents with best filters which are provided also it saves a lot of time and helps me to do smart work. plus it gets very easy to maintain a proper database like submissions, placement details.Moreover the names of consultants are in organised manner. working in group is a great fun, for example everybody can see individual work status, and also the status of consultants like his start date, end date, visa details. The main thing which i like is the contact details is well maintained for example their email, linkedin accounts, alternate numbers. But resume parsing should be improved as if i want to upload nearly 50 people with common skill set i cannot. using job portals through ceipal gets slow compared with direct account usage from new window. Many time it gets stuck and application restarts, because of this again i need to start whole process. plus searching with boolean strings makes my work bit slow. end of the day all i expect is the speed as using job portals in individual window is much faster which is not that much in ceipal, if this problem is solved, then m sure ciepal will get more accounts users. Yes, i have already recommended to many teams like Ranstade, teksystems etc. and will keep on doing as it will help to grow my income. meeting new vendors, probability of increasing submittal process also came across with many opt,cpt which we hired as our own w2 employees. more over it keep me updated and help me to focus more on present positions, also its pretty good to organise your to have proper work reports. "Been using this for 5-6 months now - The best one "
The simple interface and the quality in it. Before we were using Jobdiva which had lot of issues and the support was not upto the mark so then we got to know about ceipal from a resource and we attended the demo and i personally felt that it was way better and the price seemed to be perfect so we went ahead with it. Had few challenges at first and it was fixed eventually - but i would like the speed of the module to be more fast so that we can work more accurately and for the support team i would like to say to help the customers on time and deliver on time as promised. i would like to recommend this to my colleagues so that they can also have this. "CEIPAL - Great Help For Recruiters"
Ceipal has a great database. It is very easy to use and understand. It always keeps a track for all the candidates i submit on daily basis. Each and everyone status of the candidate is updated. The dashboard of ceipal is very specific each and every information of the candidates is updated. From the start i have seen that ceipal team is very much ready to help all the users whenever required. while parsing the resume on ceipal even if the Email id their it will not get parsed. Sometimes its very slow when we blast a email to multiple vendors. Ceipal is best ATS to use i recommend it for large companies. Ceipal is being great help as it maintains a centralize database which helps us to get great an talented candidates. Some highly skilled candidates which are not available on Job portals are available on Ceipal. "Excellent and time saving. Ceipal has a feature to access multiple job boards through one platform." Ceipal has wonderful user face design of their website and platform. very interactive and easy to use. Ceipal has a feature to access multiple job boards through one platform. Database can be maintained on the Ciepal of the migrated resumes of the candidate. Also it provides ATS system. And we can use Ciepal for Recruiting. Sometimes it lacks and takes time to open the resumes. Also migrated resumes sometime display as fresh resumes on job portals which can exhaust your views to open resumes. Highly recommended to the staffing and recruiting Companies. Also for Human resources Company. we are using Ciepal for Talent hire. Ciepal helping us by giving access to job Portals. we hire talent for the Industry. and are getting good fits for the Job Opening through Ciepal. Also it is helping us to maintain our database of the profiles of the candidates. ""Good software! Integrated search option can utilize your Job board at its best""
Call option is not available when opening resume from external Job boards also. It does not remember the last time when it log off automatically. "one of the best ATS"
Ceipal is the best ATS which integrates the all portals profiles at one place, which can be easily accessible for regular use. the best thing about it is integration feature. it integrate all the resumes from the different portals and shows at one side. the only feature dislike is updating the bulk resumes at a time it takes lot of time to update the bulk resumes. i would highly recommend Ceipal because its one of the best ATS ,i have ever used.it is user friendly and easily adaptable. It help us to submit quality resumes in time. we can track the daily ,weekly,monthly, quarterly and annually report at a time. it also help us to update interview feedback and gathering the performance report of each individual consultant. Ceipal is used for maintaining the internal database of our organization. it helps us in many ways in order to have all the reports of our daily work and the information we update for our understanding. At a single time, we can just parse maximum 20 resumes which results in more time consuming for daily work load. Ceipal is a great application for maintaining the database for any organization, especially for a consulting firm. Ceipal is used as the main database for our organization. it helps in such a way that we don't always need to keep information of a specific task as a recruiter and we can always update the information of a resume as per the need. "The best software in the market for recruitment"
It is very easy to use and integrated with job portals which helps a lot. The database is very well maintained. Ceipal helps keep track of day to day records and weekly records as well which helps in maintaining reports. IDs assigned to jobs and candidates helps in finding it easily. Sending bulk mails to candidates and vendors is also a huge advantage of using ceipal. The website lags sometimes. The user interface is nice, but could be better. More job boards could've been integrated which would've helped further. Ceipal is the best product there is to help you with recruitment. So i recommend everyone to use this product. Ceipal helps me with my day to day recruitement activity. Maintaining records and reports is very easy. "A Very Good Suite Recuiters and Manager Level also...."
In This CEIPAL ,I liked Most is ATS feature and bulk emailing system. And also internal Db feature is very good in this suite why because we get the profiles very easily. As a manager level I appreciate the ceipal team for customizing my efforts. Why because they updated every time since software has been origin. But better to improve searching options in integrated search. It makes our work easy than previously used software. It reduces my time effort and reminder system works very good. The best thing is yeah.. the candidate search by using string as it automatically search for the candidate. Third thing it help us to parse candidate which help us to source internally for next time. it help you to know evaluation for the candidate current status. One of the best Software I have ever used beautiful support and they reach to the client expectations, best tool to mass mail for vendor as well as for consulatant. "Ceipal TalentHire - BEST APPLICANT TRACKING SYSTEM"
Ceipal is one of the best ATS(Applicant tracking system) i have ever used. It allows me to keep track of all the candidates i submit regularly and it also helps me out to update with the status of the candidates. Ceipal allows me to get my own weekly Report. Some time it is not possible not get the candidates on our email but ceipal has every record. Sometime it takes time to get started if this can be counted as draw back other than this its great. Yes i do recommend Ceipal to others because it transforms the work which you were doing manually into automatic direction. The benefits that i have realized is speed which ceipal gives us . It transforms the manual working into automatic way. We just have to submit the candidate and just with one click we can change his status and everything. "User friendly guidence and Easy to source the canditaes on different technoligies on a single flat"
I have been using CEIPAL TalentHire for over 2 years now and the ease of process is excellent both from a Recruiter and an Administration standpoint. It's a highly recommended TalentHire Product.Talenthire and Workforce are SaaS platforms that will make your recruiting and consulting business flourish and accomplish all that you have been seeking. You have got to make friends with CEIPAL and you will see why and how you appreciate it!I improved my sourcing skills and short listing the suitable profiles for postion. we can source the from different portals form a single flatform, we had imporved the sourcing skiils by saving the time, which help the recuriters to reach the targets in limited period of time , mostly liked by the fresher to learn and implent they talent search in the portals, can store the profies and save save them on a single click. we can do the bulk mails to the consultants to reach them in a short time, the user can also use the integrated search to collect the profiles from all the which are interlinked which makes easly to reach the candiates on short period of time, every user can feel free and shows the interest who aware of this CEIPAL, Ceipal can be effectively used by recruitng firms to create database of employees, Candidates and vendors and also to track company recoreds. Because, CEIPAL is the best friend you never had and always wanted! Better than most HCM solutions, CEIPAL takes an ownership in giving its customer a great service and deals in a way that seems more like working for one's own lands. Just as your best friend helps you attain your dreams and likes, we at CEIPAL help you achieve your target, without a fail.You can steer clear of the current HCM solutions in the market for CEIPAL is the pocket friendly HCM solutions provider that not only understands your needs better but also suits the fit of your pocket. Earlier the small and medium scale businesses used to suffer having to pay hefty amounts to their HCM partners and eventually they lose confidence in them. When CEIPAL along with its products Talenthire and Workforce entered the big game, it decided not to discriminate. The best part in this product is mass mail and building the data base . As with most software designed for these purposes, Ceipal has something of a learning curve due to the sheer size of it and the number of options available. This means it's not unusual to find some areas of it difficult to navigate, or some tasks within it clunkier than you wish they were. However, I've discovered quickly that when a feature is not designed to work in a way that makes sense for me, it's easily fixable because 1. the system is extremely open to customization on both large and small levels, and 2. customer service is outstanding and responsive. "Reviewing about one f the best ATS"
With this software solution you can fast track hiring and then effectively manage your hired employees. Whether you are a novice organization looking to expand your workforce or are already seasoned with dozens or even hundreds of employees, TalentHire and Workforce both can help you achieve maximum potential. It provides a lot of convenience through the integrations and mobile app. You can link your company’s career’s page and directly publish postings. With the mobile app you can manage from anywhere. And through email marketing you can save costs about posting job adverts on third party job websites. "One solution for all the recruitment activities"
Customization options are far better than other ATS solution. vendor management, clients management, Application tracking contact groups. We can customization our client's groups, vendors groups, and other contacts groups. For the recruitment industry, it is a very useful solution. Job postings are easier than other ATS. Interview scheduling, sourcing on different portals associated with is easier and user-friendly. Formats of some resume get overlapped text. It doesn't provide the skill set of the resume before opening the resume. While searching in an internal database sometimes strings show error or it does not fetch data with the string which is working with other portals which are associated with it. Searching on different job portals is very hectic but Ceipal Talenthire makes it easier by collaborating different job portals. There is one login and password for different job portals. "Excellent tool to collaborate all our recruitment effort. " The best thing about Ceipal is the integration of various job boards on a single platform. This allows us to integrate the candidate pool into a common database. Ceipal takes care of each and every aspect of full life-cycle recruitment starting from sourcing, calling candidates simultaneously, making a pool of submitted and rejected candidates, till successful offer extension to the selected ones. Maintaining a placement record was never easier. Any major issues are not being encountered till date. The only concern is that the job board -"Carrier Builder" doesn't follow the Boolean rules at times. Ceipal reduces the burden of integrating the hiring process by building a common platform, providing all tools to coordinate the full-life cycle recruiting. Ceipal reduces the burden of maintaining and follow-up of Candidate's profile till placement. This, in turn, saves the time of the recruiter. Setting up meetings, reminders, generation of annual, quarterly reports carrying the total budget generated by placed candidates, are some of the many benefits one enrolls to when Ceipal is integrated as a VMS in the organization. Its a very good recruitment software to use , Ceipal's User interface is quite easy and attractive while using it. Ceipal is very useful for me while I am Starting my Carrier in Recruitment. The Single issue I face during using it is related to "Zip code radius" and Location ,It use to show me the profile or resume of a candidate who are not in that particular radius, like if I set the radius to 20 miles from a particular location it gives me the profiles of candidate who are far from that area. Its a very useful tool to find the right candidate at the right time, easy to use , attractive to look. Its a very helpful for Recruitment purpose ,it removes the problem of using different job portal to find a candidate, we can use all the job portal in every account provided, means we get everything at a single place. "Ceipal Talent hire "Mind blowing & Dynamic Ceipal Applicant tracking system""
The best part in this product is mass mail and building the data base. CEIPAL have such great UI features, anyone can easily understand every detailing of Ceipal. It provides easy storage of large amount of resumes in one place. Most Important thing is Boolean Search used for recruitment is very helpful. We have been using CEIPAL TalentHire for over 2 years now and the ease of process is excellent both from a Recruiter and an Administration standpoint. It's a highly recommended TalentHire Product. ""Ceipal Talenthire", "An all in one product to take care of all of your recruitment process."" Ceipal has been a most trusted and user friendly VMS/ATS, I have ever used and came across. it has every other detailed specification and user experience things required by an recruitment firm and a recruiter. Great customer support, online training and internal database search along with in build Boolean search option I one of its kind. We can easily keep a tab on our daily submission activities while managing the submission progress till the candidate on boarding. The candidate documentation, project start/stop measures are few of the key features Ceipal has as compared to the other available products in the market. They are in constant improvement process and keep on adding new features to shorten the recruitment process with extra professional approach and technological control. The moment we have started using this amazing tool our work and accuracy has reached to next level of excellency and the time required for the whole recruitment process management has reduced to 50% as we have everything integrated in the one smart tool CEIPAL. We can add resumes to our cloud supported internal database and can fetch it whenever and where ever may required. We also can send out job description emails form and integrated email ID with number of resources in one go, which provides ease of approaching bulk resources in one go. Nothing so far all good. I am happy with this product and would like to recommend. Go for it, who all are seeking a great ATS/VMS product with great features and functions with competitive rates rather than other products in the market. Business growth, minimal job boards use, great connectivity with internal database and Boolean search command option. Bulk JD drafting, exact key word search accuracy and ease of using with every detailed information. TalentHire and WorkForce for two of the very vital operations for any organization: hiring and workforce management. The two modules aim to offer smart solutions for all the aspects and tasks related with these operations. You can go for both the products or single as your need demands. The products are operated and purchased separately but both help improve the quality of employees and enhances their performance. 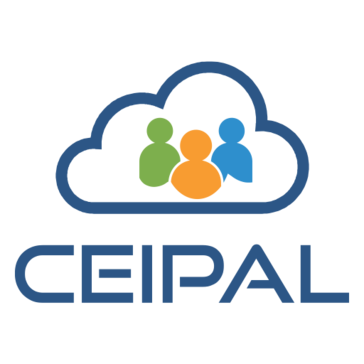 Ceipal helps me to manage the database easily and also it very friendly to use.By using it is very convenient to hunt for talent. Ceipal allows me to send bulk emails to consultant. Only one is that when bulk parsing it only take 10 resume in count.And also something the site lacks due to some server issues. The home page is bit confusing sometimes. ometimes the strings that we enter to it does not gives sa proper result as expected. The UI (user interface) or the look of the ceipal can be improved and can be made more attractive. I would definitely recommend Ceipal to other companies to use it, As it saves lot of time by getting better quality resumes. "Ceipal - ATS that can reduce your work "
If user have more access as per individual work style. If we have an option to track the access of profiles by recruiters then it will be more easy for individual work evaluation or performance. I can recommend CEIPAL for sure because it is user friendly and have many more features which can reduce your work for sure. "Best Talenhire and VMS tool so far"
a big Thumbs up to the development team of Ceipal!! Best VMS/talenthire poratal I've seen so far, as a recruiter this is like a dream come true, almost all function which I need as a recruiter I can find in it. The vendor managment, Candidate tracking, mass mail, portal merge etc. all the functions are awesome in Ceipal, I'm specially fan of advance search and report creating. Can not open multiple profile's resume at same time so each resume which I want to check I have to open one by one. Just give it a try and you will not say no to it. Vendor tracking system, candidates tracking system, mass email to vendors & candidates, precise resumes search for any opening without accessing multiple job portals. UI of the CEIPAL as it is so easy to use. We can make notes in it and we can set our important reminders in it. Everything under a single tool. Search machine and as well as the mass mail for more than 1000 people in a single click. the support team is awesome they guide us whenever we need them, response is what everyone need, highly recommend CEIPAL easy to use easy to deliver. job board integration. ease of use, ease in setting up new users. Team and group customizations are very simple and user-friendly. Finally, 24/7 technical support. bench sales area can be improved. LinkedIn user integration to ceipal talenthire a major buzz . indeed integration with resume search. we are in business for, past 10 years and I was surprised to learn our data was 2500 resumes in the time of data migration to Ceipal talenthire. we are able to catch up 60k data in less than 2 years. which is really amazing. work on individual recruiter with load balance of jobs is very easy with ceipal. past records of submissions help in focusing things better. Product is well integrated with all major job boards. Jobs can be easily posted from Ceipal to multiple jobs boards with one click.Candidates can be tracked in CEIPAL Master job posting either as Submitted candidate or as a pipeline candidate. I am able to maintain my database and easy to use . I didn't fine any cons in this product because they reach to the client expectations and also take requirements and develop the product. "Customisation options and customer support"
"Best Portal i have ever used"
Firstly i like CEIPAL for Posting N number of Jobs. We can use Mail merge, Track the candidates, easily maintain database, search made easier. I also like the merging of all the portals at one place. There is no limit for posting jobs we can post the same job again and again. We can maintain sheets and clients and vendor and placement details. Its a completely all-rounder portal for recruitment. It made me working smart and quick. As of now there is nothing much to dislike about the CEIPAL. If they can offer credits with some less price that could be really helpful. if it could help with some chat support it would be great. Please use ceipal in regular base, so that it will make your work smart and fast enough. helps you in maintaining all the databases. "The absolute best tool for staffing"
I have been using Ceipal for more than a year now. We had been struggling before to find a perfect solution to centralized and manage our recruitment efforts. Being in the staffing industry is all about generating and managing data, be it creating a database of future prospects, resume hubs, managing 100's of trackers, keeping track of candidates and their status etc. This tends to create a lot of clutters and manual work that is time consuming. We have been able to manage all our processes through Cepal - a tool perfectly crafted for recruiters. At times the UI tends to get confusing and seems to be lot fields cramped in a small space, but honestly that does not stop it from being a superstar! Highly Recommended - Pricing are reasonable and competitive and customer service is best! We have been able to have a own database of resumes and application without paying anything extra. Manage the candidates journey - right from identifying the right candidate that is already in the database or sourced externally on other job portals through the tool; till he have the candidate on boarded. We were able to centralized all our candidates - feedback, notes, etc and all the team members could have access preventing any fall out. "Managing hundreds/thousands of job seekers is simplified with Ceipal." background screen capability (compatible when paired with Sterling). Also can use the unique tracking links to track which job ad sources (ie Facebook, Indeed) are yielding the best results.The centralization of all job seekers to one landing place and ease of moving candidates through the hiring process. Unique custom tracking links are a great feature to track analytics. The centralization of all job seekers to one landing place and ease of moving candidates through the hiring process. Unique custom tracking links are a great feature to track analytics. Better to use this cloud platform for a new recruiting trend. During the Great Recession, We were flooded with applications and wanted features that discouraged and filtered out unqualified candidates. This resulted in many of the bloated application processes and indiscriminate filters found in Ceipal today. Unfortunately, improving unemployment rates won’t mark the end of Ceipal. While outdated systems are still in use at some large companies, we are seeing new Ceipal being developed for the modern age. they’re just becoming more technical as recruiting software begins leveraging AI. A Ceipal-optimized resume is the first step to getting past the bots and face to face with an actual person. Jobscan tests and researches common ceipal to help job seekers avoid the traps of these systems, from the outdated to the cutting edge. "CEIPAL is a BMW infront of Maruti 800 in a Staffing Market Comparing to other tools"
-Migrating resumes from Portals to Internal database and can see them again and again without any view count. -End to ending procedure of candidate's recruitment and their statuses. *Can't limit saying on features.. 100 more points to write..
Should think deeply to mention one or two points.. But ignore-able ! Good to go.. Get the demo and use trail versions. You'll definitely be satisfied. Then depend on it. I liked in the Ceipal is for multiplatform i.e, Integrated search in this we can integrate multiple job portals into one portal. I really, Very thankful for that one because it makes my work easy and fast. The major advantage for this ceipal is cost optimization for organisations. Internal DB is very useful and find consultants very fast. TechFecth is not working properly. Thats one and another one to improve login time. Really, i liked so much for this ATS platform. ceipal is the best platform for ATS and searching Consultants. Cost Optimization and Take Less time to work more. "Using as a Recruitment Specialist"
Very easy to use, does not complicate things and best part is its user friendly and always ready with an update is ceipal. Just some normal software issues such as Lagging a bit once in a while. Just one thing if it can start migrating resumes on its own, it would be really great. For us it is an ATS where we store all our candidate's data and also it helps us in getting back to them whenever needed. I would say ease of access and the other thing that is there is it provides us with a great platform for recruitment and help us in many ways. "Ceipal - Best Applicant Tracking System (ATS)"
Nothing much bad about this software. This is like growing ATS. sometimes it gets hang. work slowly and do not show the previously migrated profiles in the database which take extra credit of views. Ciepal talent hire provides recruitment solutions for my company. It helps to for easy and smooth recuitment process. it benefits to have access to different job portals which makes easy to find the Ideal candidate for the Clients requirement. * We monitor all CEIPAL TalentHire reviews to prevent fraudulent reviews and keep review quality high. We do not post reviews by company employees or direct competitors. Validated reviews require the user to submit a screenshot of the product containing their user ID, in order to verify a user is an actual user of the product. Hi there! Are you looking to implement a solution like CEIPAL TalentHire?